On Sept. 11, 2001, 3,000 families lost parents, friends and loved ones. With the 15th anniversary of the most devastating attack on U.S. soil just days away, partners of five of those victims told ABC News what life’s been like without their significant others, revealing what they wish their loved one knew if they were given a chance to say goodbye. Add September 11th as an interest to stay up to date on the latest September 11th news, video, and analysis from ABC News. Katrina and Kenny Marino met while Katrina was a flight attendant at TWA. The couple had been married for just over three years and had two children when the 9/11 attacks happened. Kenny, who was 40 at the time, worked as a firefighter for New York City Fire Department’s Rescue Co. 1. 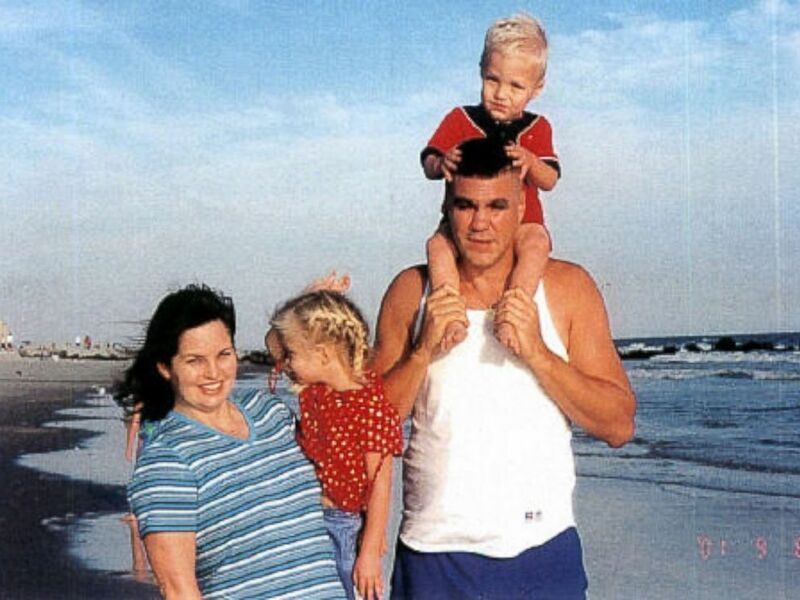 Katrina and Kenny Marino photographed on Sept. 8, 2001 with their children, Kristin, then 3, and Tyler, then 1, in Long Beach, New York. Kenny was a firefighter for New York City Fire Department's Rescue 1. “Kenny was all guy, very ‘New York,’ Italian, he took care of everything,” Katrina of Bradford, Massachusetts, told ABC News of her husband. “It was the first time in my life that I let go of the reins. It was the first time I felt taken care of, in a way. I just felt so secure." On Sept. 11, 2001, Katrina, now 50, brought her two kids Tyler, now 16, and Kristin, now 18, into Manhattan for then 3-year-old Kristin’s modeling gig. They stopped by Kenny’s firehouse for a visit before taking off near 26th Street and Sixth Avenue. Kenny and Rescue 1 responded to the scene that day. Katrina was later informed that he was last seen over 70 stories high inside the North Tower. Kenny's body was never found. Katrina describes her husband as baseball player Ken Griffey Jr.’s No. 1 fan. Griffey Jr. later hit a home run in honor of the late firefighter. “If Kenny was looking down at all, it would’ve been such a big thing for him," she said. Katrina has not married again. For the past 15 years, she’s focused on raising her children, and now, she's pursuing a college degree and considering moving back to New York. Since Sept. 11, Kenny’s firefighter helmet has been found at Ground Zero. Katrina keeps it in a cabinet on display in his memory. Jack Grandcolas met his wife Lauren while both were attending the University of Texas at Austin. 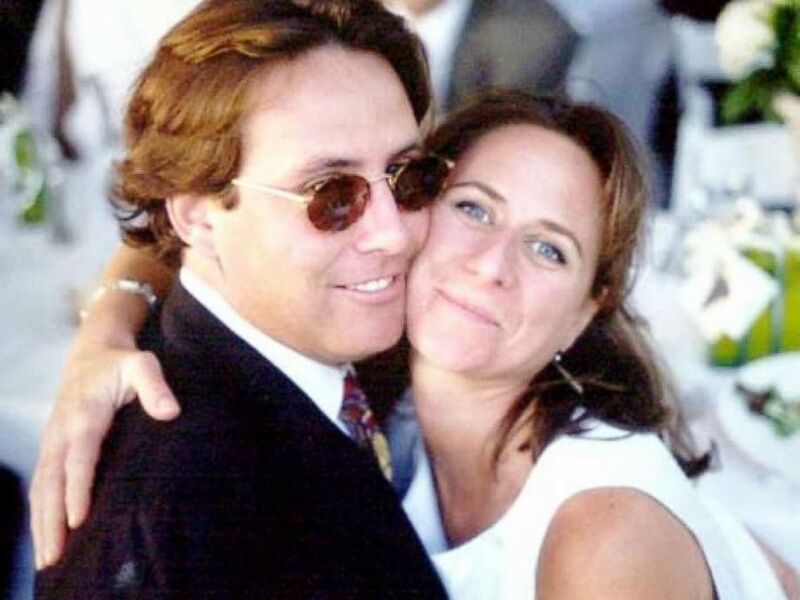 The couple were married June 15, 1991, and had celebrated their 10th wedding anniversary before the Sept. 11 attacks. Jack Grandcolas of San Rafael, California in an undated photo with his late wife, Lauren. Lauren was a passenger on United Airlines Flight 93, which was hi-jacked during several attacks that occurred on Sept. 11, 2001. “She was a friend to everybody,” Jack Grandcolas, 53, of San Rafael, California, told ABC News of his wife. “She was just a compassionate preacher and was funny. She liked to make people laugh, even at her own expense. She was as cute as can be. She had the most gorgeous eyes — strong as can be, too, feisty and fun. He continued: "I’ll read you something I just found that described her best. She liked to keep a notebook with lists." Lauren, 38, worked in the marketing business and was pursuing her dream of publishing her first book. On Sept. 11, she was flying from Newark, New Jersey, back to San Francisco after attending her grandmother’s funeral. Lauren was three months pregnant at the time. Jack said his wife suggested he stay behind. Lauren was aboard United Airlines Flight 93, which eventually crashed in Shanksville, Pennsylvania. The plane was hijacked by Al-Qaeda terrorists on board that day. Lauren left a message for her husband on the couple’s answering machine amidst the terrifying ordeal. “I often thought to myself, ‘How would have I reacted? What would I have done? What would I have said?’” Jack said of his wife’s phone calls. “You spend your whole life trying to protect your loved one and having that be out of your hands is probably one of the most helpless things." He continued: "She was so brave and strong that she would’ve been comforting me. I’m sure of that. I think that message she left speaks volumes to that." Jack said Lauren’s message let him know there was a “problem” on the plane. She also told him she loved him and her family. 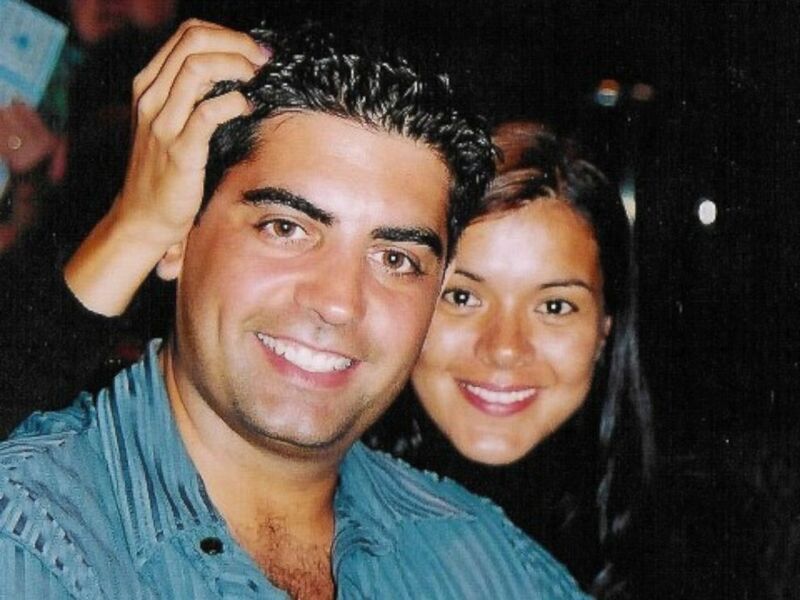 Tanya Villanueva Tepper and Sergio Villanueva, both from Flushing, Queens, met in 1994 through mutual friends while Tanya was living in Miami. 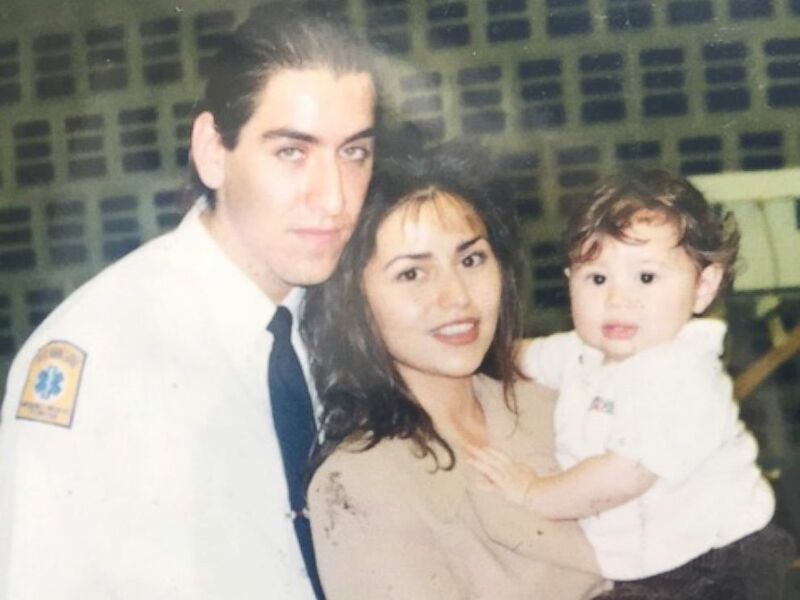 Tanya Villanueva Tepper photographed with her fiance, Sergio Villanueva, in late August 2001. Sergio was a firefighter for Ladder #132 in Brooklyn. It is believed Sergio was last seen in the Marriott Hotel when the towers collapsed on Sept. 11, 2001. The couple got engaged on June 30, 2001 — the seventh anniversary of their first kiss. By the time Sept. 11 approached, Sergio, 33, had become a firefighter in Brooklyn with Ladder 132. That day, Tanya was at home watching the attacks occur on the news. She called Sergio at the firehouse, but there were only busy signals. Tanya said she joined FDNY families at Fort Totten’s fire training facility to wait for more information. Sergio never returned. He is thought to have last been seen with his fire company in the Marriott World Trade Center located below the towers when the structures collapsed. Tanya held a memorial for Sergio 10 days after the recovery efforts at Ground Zero in 2002. One month after the attacks, Tanya took her late fiance’s name, she said. Since the Sept. 11 attacks, Tanya has been a part of Project Rebirth, where she shares her story and talks to kids about the events of that day. Tanya recently celebrated 10 years of marriage to her husband Ray. The couple have two daughters, Mimi, 9, and Sami, 8. Hopeton and Venesha Richards met through a mutual friend after Hopeton gave them both a ride home from work one night. The couple were married in July 1998 and gave birth to a daughter, Kayla, on Oct. 24, 2000. 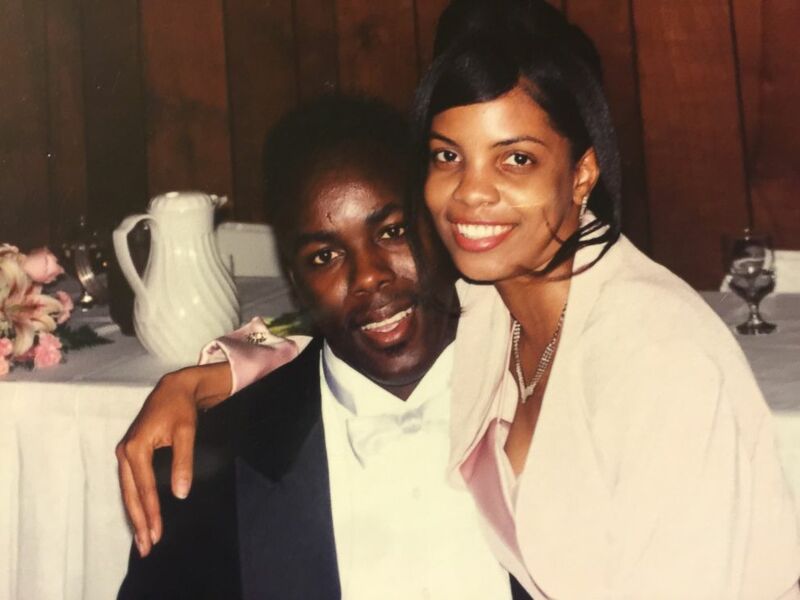 PHOTO:Hopeton and Venesha Richards of New Jersey seen in this undated photo. Venesha was a claims representative at Marsh & McLennan on the 100th floor in the north tower of the World Trade Center. “I loved everything about her,” Hopeton of Berlin, New Jersey told ABC News. “She was the greatest, most wonderful woman that you could’ve ever met. She had a very outgoing personality. You met her the first time, you’d love her forever. She meant business. She was a hard worker, dedicated, family-oriented and when she set her mind on something, she was determined to get it done." He added: "Great smile. Her smile was the biggest asset for her. When she smiled, you had no choice but to love her." Venesha, 26, was a claims representative at Marsh & McLennan on the 100th floor of the North Tower. On Sept. 11, Richards, now 45, had been working in New Jersey when he heard two airplanes hit the towers. He attempted to call his wife, but never got an answer. Venesha’s remains were eventually identified amidst the recovery efforts at Ground Zero. “If I could say anything to her, we wouldn’t have enough time in the world,” Hopeton said. “I would give the last breath in my body if that meant that she would be here today. After his wife’s death, Hopeton focused on raising his daughter Kayla, now 15, and on being surrounded by his friends and people from his church, where he met his current wife, eight years after losing Venesha. Gina Pinos and James “Jimmy” Pappageorge met while Jimmy was working as a personal trainer in Queens, New York. The pair dated, separated, then rekindled their relationship and got engaged in 2000. Gina Pinos photographed with her fiance, New York City firefighter James "Jimmy" Pappageorge of Engine 23. Jimmy had been inside the Marriott Hotel answering the call of two planes hitting the World Trade Center, when the towers collapsed, Sept. 11, 2001. “When he came back into the picture, I heard a doorbell ring and I ran outside to see who it was,” Gina, now 44, told ABC News. “He was dressed in this strange outfit and so, during this time he went through school to become an EMT. He said I was his motivation. He said he wanted to have something to offer me." Jimmy, 29, became a father to Gina's son, Justin, from a former relationship. The couple was to be married on Sept. 11, 2002 — one year to the day after the attacks. On Sept. 11, 2001, Jimmy had been working his new job as a firefighter for Engine 23. That day, Gina took her son to school, then took a train to her marketing job from the couple’s home in Yonkers into Manhattan. When she saw that two airplanes hit the World Trade Center, she phoned Jimmy at his firehouse. Jimmy was inside in the Marriott World Trade Center when the towers collapsed. His remains were later identified. On Sept. 10, 2001, Gina discovered she was pregnant. She had been planning on sharing the good news with Jimmy, but he died in the attacks the following day. Gina remarried once, but it didn’t work out, she said. She has since welcomed two more sons.